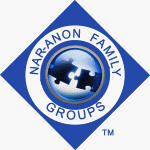 NJ NAR-ANON Family Groups Website and Meeting Schedule. Flushing unused medicines or throwing them down a sink contaminates waterways. Content on this page is for informational purposes only, it is not intended to replace medical treatment.